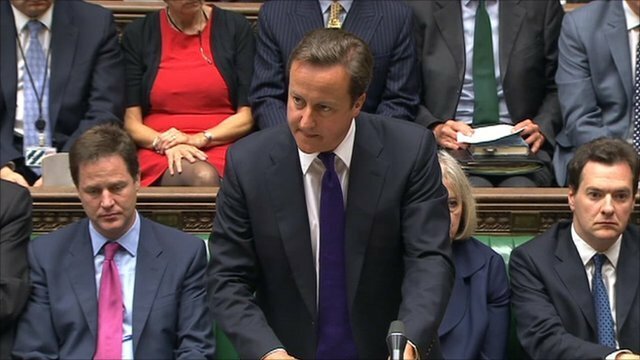 Cameron wants more 'speedy justice' Jump to media player Speaking on North West Tonight David Cameron made it clear he supported the idea of evicting looters from council housing and said he wanted more 'speedy justice'. 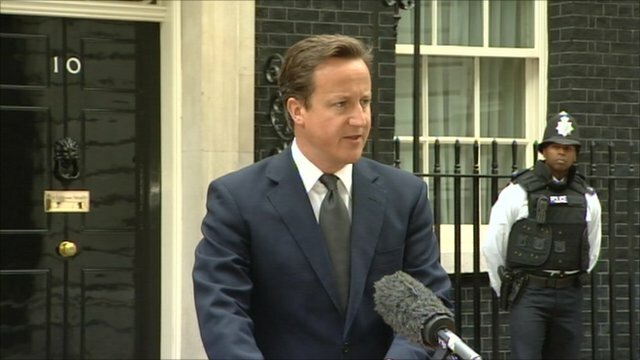 Cameron outlines new police powers Jump to media player Prime Minister David Cameron sets out plans to give the police new powers to deal with public disorder in the wake of the riots. 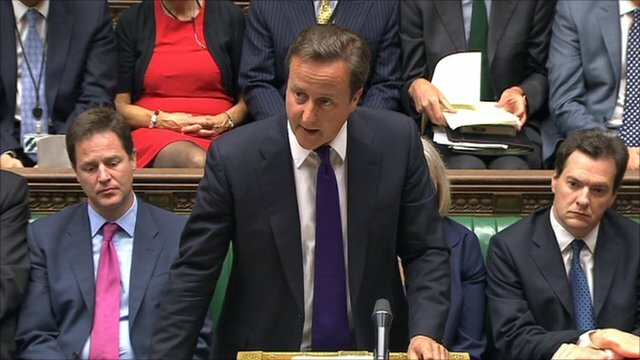 PM's riot statement to Parliament Jump to media player David Cameron has addressed MPs on the recent disorder after a huge police operation and bad weather helped prevent a fifth night of trouble. Cameron 'sickened' by riot scenes Jump to media player Prime Minister David Cameron says police will be out on the streets in greater numbers on Tuesday night to deal with any fresh disturbances. Speaking on North West Tonight David Cameron made it clear he supported the idea of evicting looters from council housing and said he wanted more 'speedy justice'. 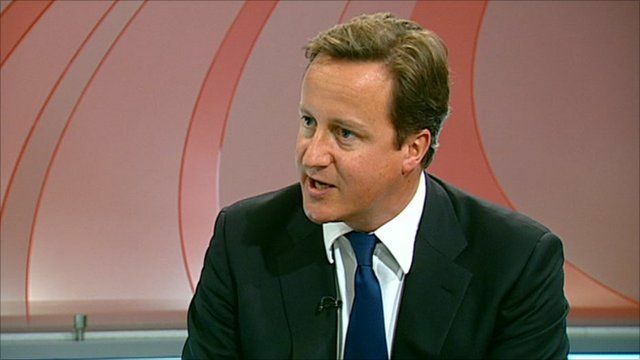 Speaking on North West Tonight Mr Cameron said: "We have got to find ways of enforcing responsibility."